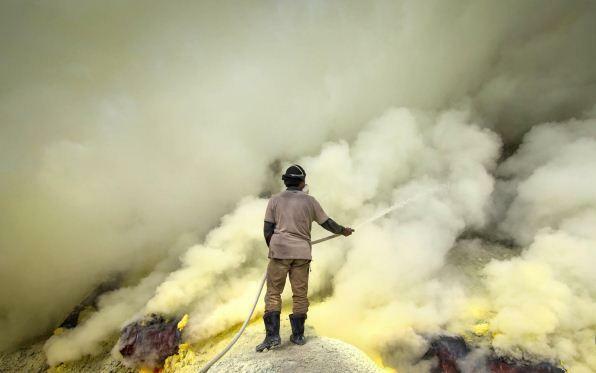 The sulphur mine in Indonesia is the largest and it also has an active volcano. 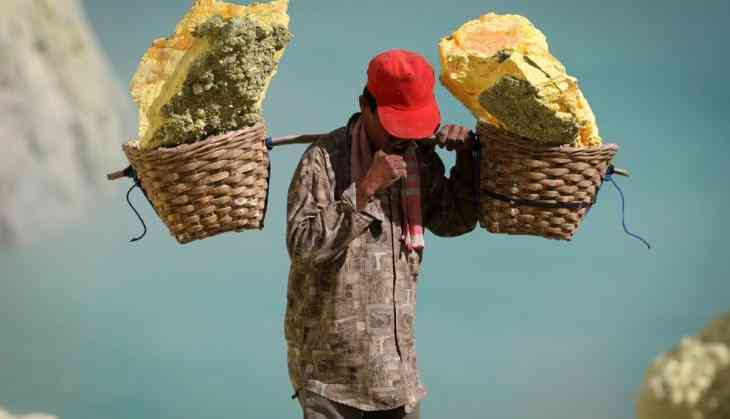 The miners who work there have risked their life to harvest the yellow rock. Although, the site has turned into a popular destination for te tourists, the dangerous site has also become a poular detination for clicking selfies. A lot of tour guides have left their job to become tourist guides, they are paid a handsome amount. At the centre of the sulphur mine, there is a blue lake from which releases gas and colours. At the night, the yellow colour of the sulphur mine occasionally produces eerie blue flames which looks stunning. 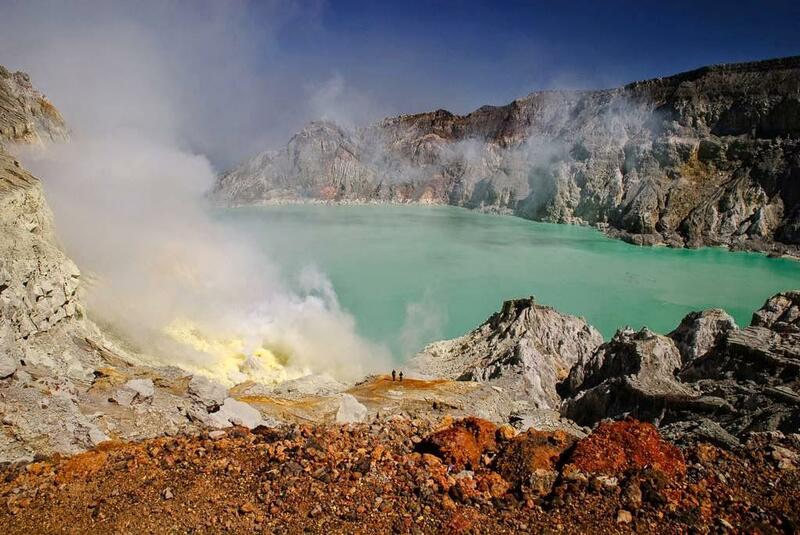 The active volcano in Indonesia sits spitting 600C blue flames as noxious gases spew from its cracks. The place is also one of the toxic places on the earth but still the sulphur miners work there 24-hours-a-day to scurry the sulphur. 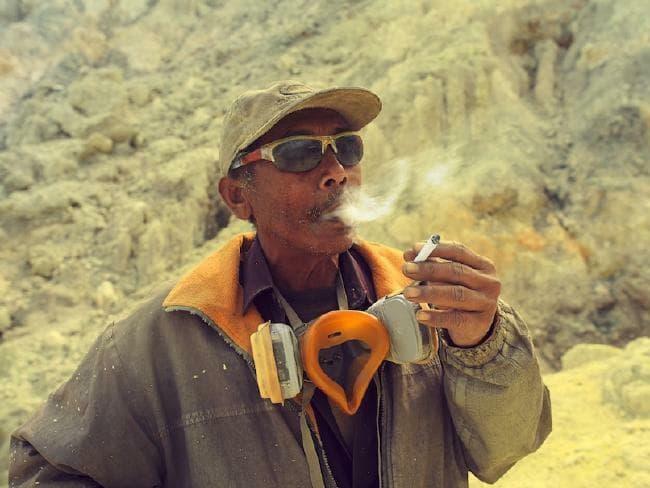 The tourist who visit the Ijen volcano often undertake trekking, twice a day to find out more about the solid blocks of sulphur. A Germna photographer, Kevin McElvaney spent two days at the site to capture the hardship which the sulphur miners face. The photographer captured some of the terrific and harrowing shots of the miners working at the site. Near the acid-lake that resides at the top of the crater, workers put mud in buckets, which they then use to repair holes in the broken ceramic pipes. 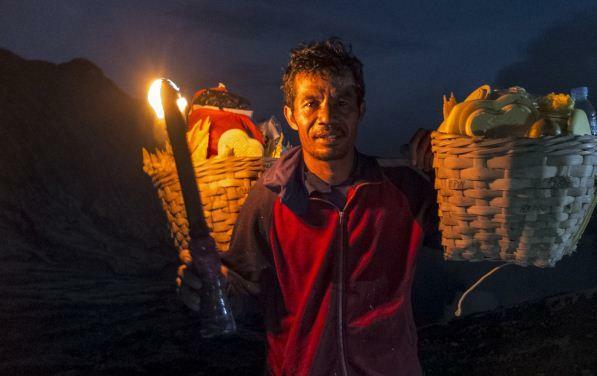 Although, a lot of miners are quiting their job to become tourist guide but the ones who are still working at the site face a lot of difficulties as the mining process has not change at all. 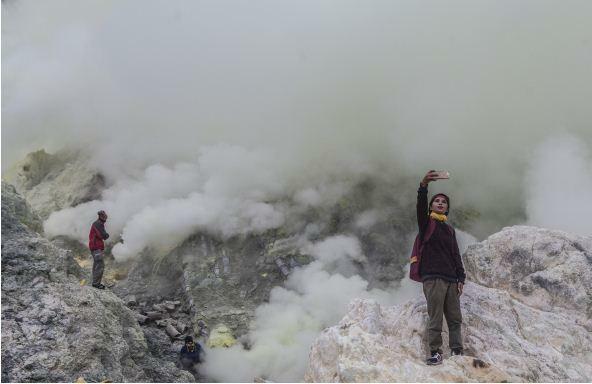 The dangerous site has become a favourite of the tourist to click selfies. 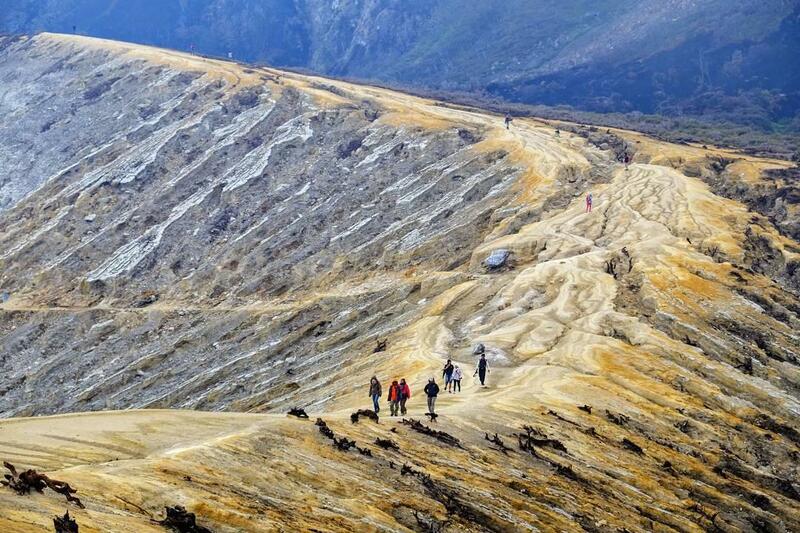 The tourists camps areas 4km downhill from the crater’s rim, and walks up once the gates open at 1am. The site is not suitable as people often faint and slip at the site. A gas explosion at the crater left dozens of people in hospital, on March 22. 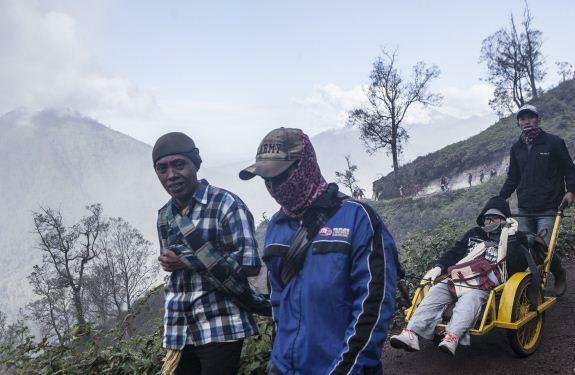 Swiss national Heinz von Holzen has a restaurant on Bali made it a oint to support the miners families with donations and a two-wheeled trolleys which would help them to bring night’s loot to the weighing station. But the miners now use those trolleys as taxis for the tourists. Kevin said, “You just feel that there’s a warm wave coming, you just close your eyes and then lie down.